Well, we made it safe and sound!! The flights were definitely long & tight at times (2 year-old triplets for 8 hours…you do the math) but what an adventure! We made it into Nairobi late last night and went through customs and immigration with so much ease it was amazing, really. Incredible that our luggage arrived intact all the way from DIA to Nairobi without us seeing it once. Thank you God! We walked warily through the final doors of the airport and there Colin and Fey were in the crowds jumping up and down welcoming us. It was such a wonderful sight to see after all the hours of travel! We located the SIM driver who had driven them to meet us and we were on our way! We flew past the lights of Nairobi Airport and into the heart of the city towards the compound. Not wanting to blink for a moment and drinking in every sight we could make out in the pitch black, we took in Kenya. The warmth of the climate, the smells of the air…the essence of Kenya. We arrived at the SIM compound and at our request were given a late night tour of everything which was fun to imagine what it was going to look like in the morning. When we got to the door of Colin and Fey’s place they had a cute little welcome sign for us. In true me-fashion (you can make a sign for everything, you know. ;o) The home was so clean and lovely. Fresh flowers in every room, clean towels at the ends of our beds. Lovely. We were woken up this morning by the most unique bird calls I’ve ever heard. I have no idea what it was but truly unique. Then when we opened the curtains we saw the most beautiful view of the compound. Gorgeous trees with bright blossoms, right outside our window. A warm, humid breeze filled with a musky scent wafted into our room telling us we were home somehow. We went to church this morning at Colin and Fey’s church which is a large church that is centered around cell groups. We loved it!!! Amazing to witness God’s people here and their hearts for Him! Both Clinton and I were unsure what exactly we’d be feeling being here, in this place we’ve heard and dreamt of so much. But from the moment we went through customs and began to sense the country, could both sense a comfortability, a familiarity within our hearts of sorts. Like we were made for this. One thing that was very distinctive for me was feeling immediately that God had come before us and was meeting us here. Like stepping off the plane and into Him. Very interesting feeling. Well, the lights are flickering their warning of waning power and jet lag is an ever present uh, companion. Tomorrow brings the adventures that await us beyond the open door. 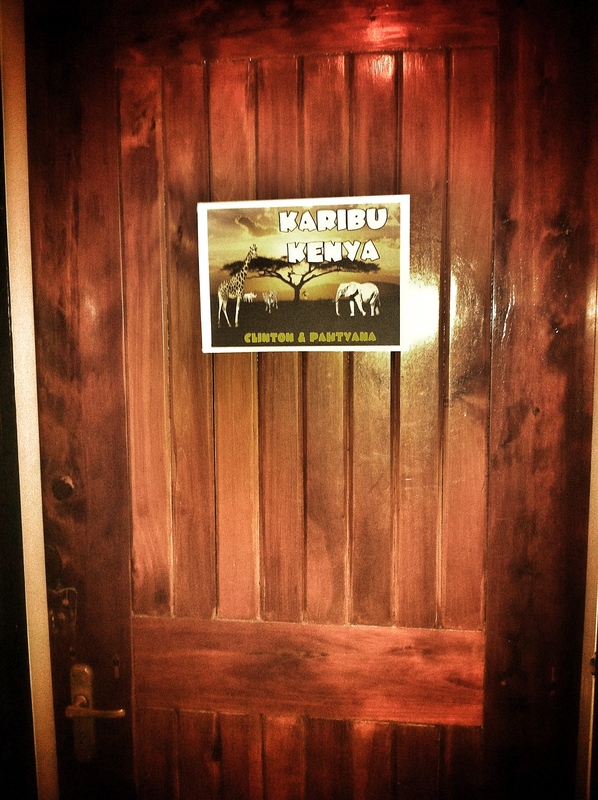 We Are Going To Kenya…TOMORROW!! 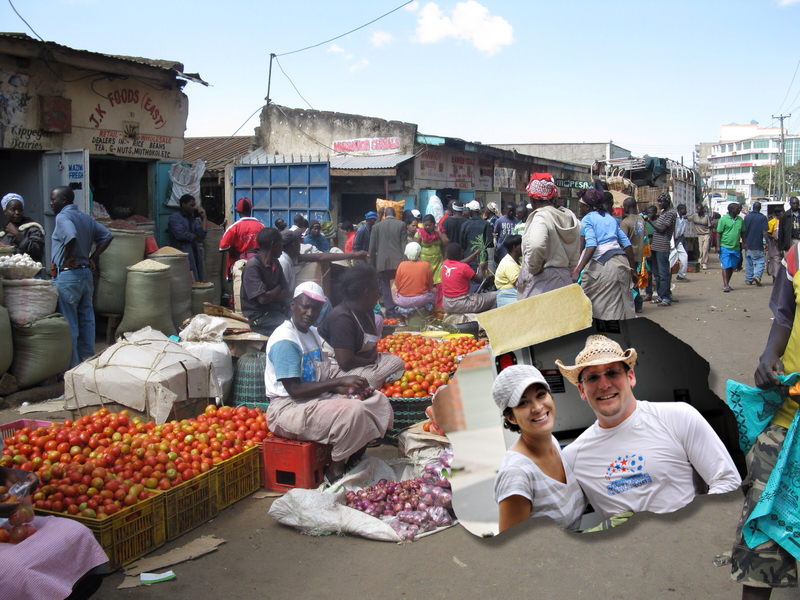 Can you see us in Kenya?? Because we sure can! Yes, we’re still a bit in shock ourselves that this is all really happening! The Lord has quite rapidly opened the doors for us (C&P) to fly out to Nairobi, Kenya tomorrow, October 5th through the 15th on a Vision Trip!! We will be joining Colin and Fey as they host the CellKenya Network Consultation, October 9th-11th. This consultation is a tremendous opportunity for the many churches who have been involved in cell ministry over the past 6 years to connect with each other and to begin envisioning what the future of the ministry will be. It is also where the CellKenya Network launch will take place, which Colin and Fey have envisioned and prayed over for a long time. We are thrilled that we will get to be a part of that and witness the future of the ministry as it begins to expand! We have this opportunity to not only experience Kenya for ourselves but to begin developing relationships with the pastors and leaders Colin and Fey have mentored and whom we will be in relationship with for years to come. This trip will also give us the privilege and opportunity to fully witness the vision of Cell in Kenya and beyond in ways we have not yet been able to from the States. We are praying that when we return we will have a much keener sense of the needs of the Kenyan people. With that deepened sense we pray we can affectively translate what those needs are here and convey His vision for the country of Kenya! PRAYERS: Please keep us in your prayers as we travel to Nairobi and build relationships. Also, for our girls who will be staying with family during this time. PRAISES: We celebrated Ellyana’s 4th birthday, Saturday, Sept. 22nd! It was a wonderful party and Ellyana had an absolute blast! We began working with a coach from Kingdom Come Training recently and hope to streamline our goals through that relationship. Lastly, we have been having some serious car trouble lately. But the Lord provided a way for us to replace all 4 tires and the battery in the gold car this past week and we felt much more confident this past weekend when we took it to Missouri! We deeply cherish your friendship and faithfulness and thank you for your prayers as we move forward in the Call! !